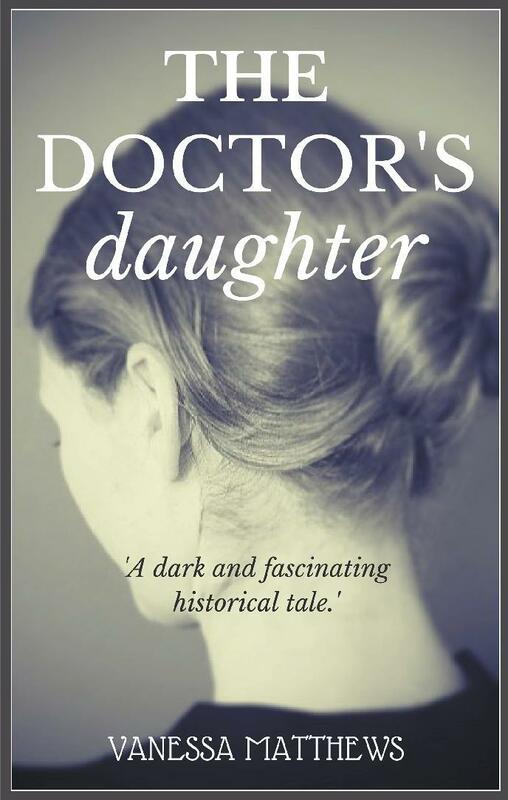 It’s called The Doctor’s Daughter and tells the tale of 23 year old Marta Rosenblit, a prominent psychiatrists daughter who realises insanity can be found much closer to home when she unlocks secrets from the past that threaten to destroy her future. It’s primarily set in Vienna in 1927, a time when women have the vote and their morals are slackening, but Marta is not a typical woman of her time. She has spent her life being shaped as her father Arnold’s protégé and as a result she is lost, unsure of who she is and who she wants to be. The novel tells Marta’s dark tale of self-discovery as she tries to step out of her father’s shadow and find her identity in a man’s world. Her father’s friend Dr Leopold Kaposi is keen to help her make her name, but his interest is not purely professional and his motivations pose greater risks that she could possibly know. Marta’s chance encounter in a café leads to a new friendship with young medical graduate Elise Saloman, but it soon turns out that Elise has some secrets of her own. When Marta’s shock discovery about her family story coincides with her mother’s apparent suicide, Marta can’t take anymore. None of the people she has grown to love and trust are who they seem. Her professional plans unravel, her relationships are in tatters and her sanity is on the line – and one person is behind it all. I am pretty active on social media and have a presence on Twitter, Facebook, Instagram and Pinterest. I am trying to get to grips with Tumblr and my Instagram account is at its early stages but I am interested to see if that helps as far as book promotion goes. I try to update my blog regularly too, not only to promote my book but also to share interesting features, grow my body of work and build my fanbase as a writer. In addition to organising reviews with book bloggers I am targeting a number of vintage bloggers to capitalise on the 1920s theme. I have some competitions and giveaways in the pipeline, but these will revolve around gift items rather than free books. Something that enhances the reader experience, promotes the setting or a character and gets people talking. That said, I am also experimenting with eBook giveaways on my social media channels. The book was launched as an eBook in May and a paperback with an exclusive print design will follow in June. I’ve tried to create a paperback edition with a desirable and potentially collectible cover that will appeal to readers who enjoy the look and feel of a physical book. Just get the words down on paper before you worry about anything else. Spending days perfecting your first paragraph isn’t helping anyone, whereas if you have a completed manuscript, you have something to work from and refine. Also, use beta readers at various stages. The feedback I got from my beta readers was really constructive but most importantly it boosted my confidence. When the majority came back with positive comments I knew I was onto something and it motivated me to keep going. 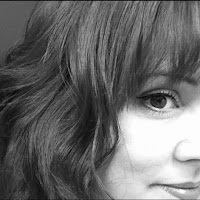 My Facebook page (www.facebook.com/VanessaMatthewsWriter) and Twitter (www.twitter.com@VanessaMatthews) are the best sources of information at the moment. Following my blog is also a good idea (www.ordinarylifelessordinary.wordpress.com) as I use it to update readers on my journey to publication and my experiences as a writer. Having a place to share more in depth features and engage with fellow writers and readers is a real benefit to me. There are some pretty shocking plot twists and many of my readers have told me it’s a page turner that builds and builds. It’s not an easy light-hearted read by any means, but I hope that it is fast paced and engaging. It is set in Vienna back in the 1920s, and I have tried to capture that in the best way I can. Scenery, décor, smells, food, drink, fashion and more have all been brought together to evoke that sense of time and place. I love to write flawed characters with interesting psychology, I find them fascinating. None of us are perfect, and many of us have a dark side whether we care to admit it or not. I have a background as a relationship counsellor amongst other things and so I particularly enjoy writing about dysfunctional relationships, be they romantic, familial or platonic. If any of that sounds appealing to you, then you are my kind of reader. That’s a tricky question! From first words to first draft I would say it took about eight months. However, about half way through that time I was fortunate enough to be awarded a ‘free read’ manuscript assessment from The Literary Consultancy, which added some time. The award is based on merit, so it really spurred me on to know that a professional organisation had read it at a pretty embryonic stage and felt it was good enough to be selected. After that I spent a lot more time incorporating the feedback I received, and then I spent another couple of months working with a number of beta readers to improve it again. By the time I was ready to send it out to agents I must have redrafted it a dozen times! I’ve twiddled with it a few more times since then too, but at some point you have to say enough is enough, close the file and consider it complete. Research is as important for fiction as it is for non-fiction. The Doctor’s Daughter travels through Vienna, Budapest and London and so to ensure authenticity I spent hours researching the locations and the 1920s era. I had to ensure that any landmarks and street names existed. It wouldn’t do at all to mention a library or a hotel that had been built in the last 10 years! I had to consider the literature of the time, communication methods, transport, clothing, social context, medicines and so much more. It took almost as long to research as it did to write it, but I am so glad I took the time to do it as I think the reader’s experience will be richer for it. I have two novels in the planning but the one that I am spending most of my time on at the moment is another historical tale, this time about two sisters involved in a street gang in the late 1800s. Writing about women struggling to push through in a male dominated world appeals to me and I think many of the issues affecting women in the past are still relevant today. I hadn’t planned on writing historical fiction but for the time being I am happy exploring modern issues through a historical lens.